California finally caught up with local communities when a ban on sales of breeding mill puppies, kittens and bunnies went into effect Jan. 1. Under the Assembly Bill (AB) 485 puppy mill ban, pet stores that sell dogs, cats and bunnies must get them from rescue organizations and animal shelters. Each store must record where the dogs, cats and rabbits they sell came from for a year. Pet stores must also follow regulations about spaying and neutering. Each violation is subject to a $500 fine. California became the first state in the nation to ban puppy mills when AB 485 was signed by Gov. Jerry Brown in October 2017. But it was a case of the tail wagging the dog. 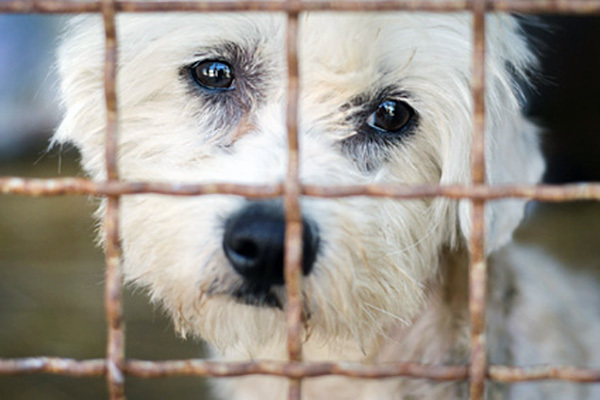 A total of 33 California cities and counties had already banned breeding mill pets. Among them were Burbank, Garden Grove, Glendale, Hermosa Beach, Los Angeles, Long Beach, South Pasadena and West Hollywood. This law doesn’t affect breeders who sell their animals privately. Consumers must still do their homework when purchasing those pets. Anyone working with a breeder should check the conditions in which the animals live, how often the animals have litters and how the breeding is done. According to the AB 485 Fact Sheet, animals living in puppy mills are often in overcrowded, unsanitary conditions. In many cases, they may not have enough food, water, socialization or veterinary care. As a result, these animals often face health problems, including communicable diseases, behavioral issues and genetic disorders. California taxpayers spend $250 million annually to take care of animals in local animal shelters while puppy mills and kitten factories continue mass operations breeding pets for profit, according to the fact sheet. While the legislation was supported by a wide range of rescue organizations, government animal service agencies and humane societies, it was opposed by the American Kennel Club, the California Retailers Association, Dog Owners of the Golden State, the English Cocker Spaniel Club of Southern California, the German Shepard Dog Club of America and the Pet Industry Joint Advisory Council, among others. The bill was written by Democrats Patrick O’Donnell and Matt Dababneh.